There are a fair few superlatives that you could put after George Clooney’s name. World’s most attractive man - probably. Best celebrity marriage - definitely. Most conscientious actor - maybe. But creator and owner of the World’s fastest growing tequila - probably not what you’d have picked for that guy from ER. But it’s true, and since him and his business partners, Rande Gerber (wait, maybe this guy has the best celebrity marriage?!) and Mike Meldman sold Casamigos to Diageo, the spirits industry has been asking, what would George do next? Turns out, he’s created a Mezcal. Obviously. When the brand’s sale went through George said in a statement “we’re not going anywhere. We’ll still be very much a part of Casamigos” and true to his word, they’ve introduced a gorgeous new Mezcal to their House of Friends. And we’re very much fans. As good, if not better (sorry George!) than their tequila, Casamigos Mezcal is uniquely smooth, easy to drink and definitely intriguing (and will have you calling for more before you see the bottom of your copita!). The interesting thing about Mezcal, that tequila lacks, is the variety in the agave. For a tequila to be legally a tequila, it must be made from at least 51% of a certain type of agave, called Blue Weber that is grown in certain municipalities (mostly the state of Jalisco), so while technique and process differs slightly, and other agave spirits are added in the minority - tequilas tend to have more similarities than differences. However Mezcal production has the ability to be a little bit more flexible and rogue - so you can really begin to taste the differences in flavour and terroir that different agaves bring. The family that distill the liquid for Casamigos Mezcal have honed and preserved their tradition and talent over four generations, dedicating themselves to perfection and George, Rande & Mike have certainly shown that they won’t settle for less. 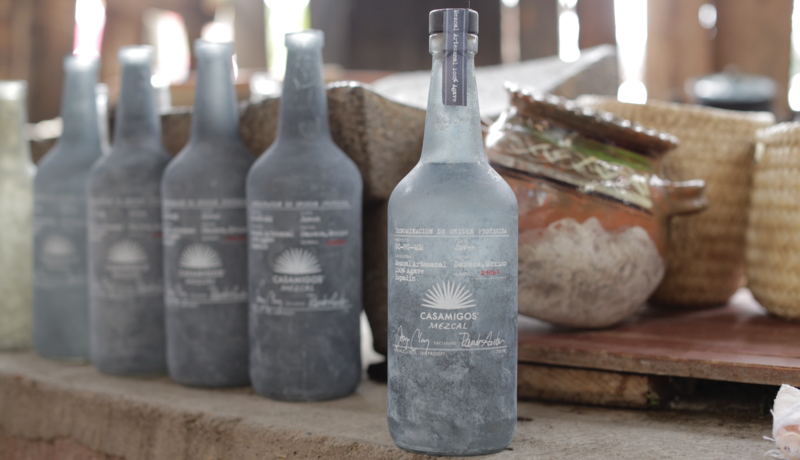 As the story goes, when Clooney & Gerber were sat around on one of the infamous, hazy evenings tasting some of the 700 samples they tried for Casamigos tequila, they also worked their way through some mezcal varieties - and knew then that they would bring their mezcal of choice and the family that make it into their House of Friends at the right moment. 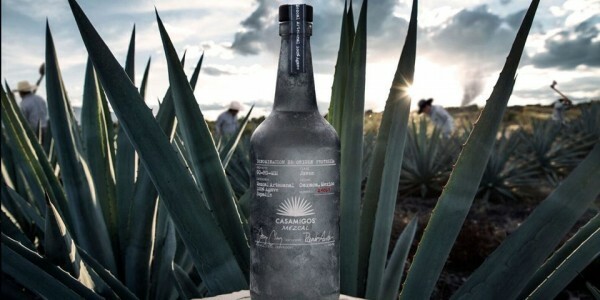 Produced at the family’s small palenque (“meeting place”) in Santiago Matalán, Oaxaca, Casamigos Mezcal crafted from 100% Espadin agaves, which is the genetic grandfather of the blue agave used for tequila - and of course each batch is taste tested and approved by the men themselves. Fresh herbal mint, dried oregano and thyme aromas meet a balanced and elegant liquid that offers harmonious hints of tamarind, pomegranate, banana and mango. This complex character is nuanced by delicate tones of smoke and hints of liquorice - and a long, silky finish. It’s got all the best smoky, dirty taste of the perfect mezcal, but smoother. Perfect when slow-sipped at room temperature. And the bottle - maybe the most interesting aspect of all - is truly unique. Designed by Rande, each bottle is hand-crafted and rubbed using a unique process - so no bottle will every be the same like a piece of art that drinkers want to take home after they’ve finished drinking it. I’m sold and I’ve got a shelf dying for an empty bottle of Casamigos Mezcal.